The whole family will catch the wave of excitement in Marina del Rey. Close to LAX, Venice Beach, Santa Monica and Hollywood, it’s the perfect year round base for families who want a little bit of everything close to Los Angeles. For those who want to get right on the water the Marina offers harbor cruises, fishing expeditions, chartered sail and power boat rentals, or relaxed skipper experiences. The outdoors can be enjoyed boogie boarding or paddle boarding through the waves on a wide stretch of sandy beach, renting bikes to pedal through the Marina, or just relaxing in the sand. When it’s time to snack or dine, family-friendly waterfront restaurants are there to please every palate. 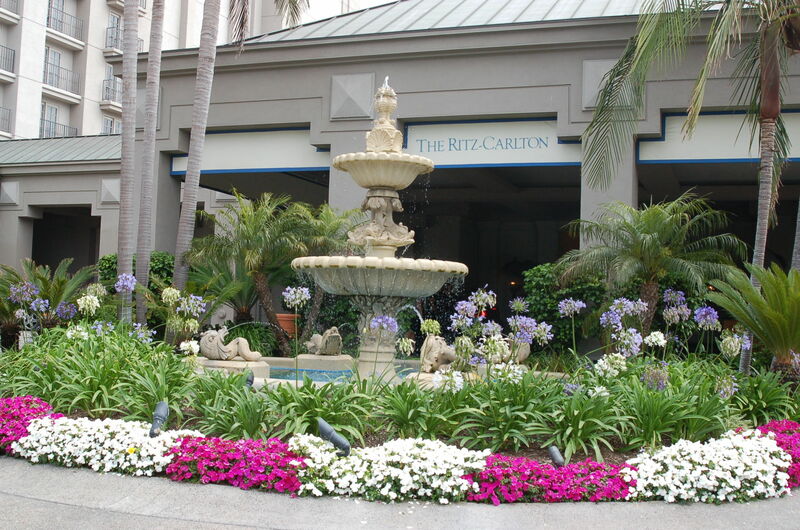 Families are pampered with five-star family fun at The Ritz-Carlton, Marina del Rey. Be indulged in one of the 304 recently redesigned spacious guest rooms and suites, where French doors open on to either private or “Juliet” balconies overlooking the yacht filled marina, or striking skyline views. On arrival, tots and tykes are presented with giant size lollipops, an assortment of balloon animals, and a scavenger hunt form to search for answers with fun clues about the hotel. When the hunt is completed each child goes through the “magic door” to receive a special gift. For cool activities for the whole family, The Ritz showcases LA’s premier outdoor waterfront pool and whirlpool with an eco-friendly purification system using only pure, natural salt from the ocean. The pool deck offers outdoor teak lounge furnishing and private cabanas. There are two tennis courts, access to waterfront walking and jogging trails, and an assortment of bikes available for rent. For workout enthusiasts, the new Fitness Center is furnished with state-of-the-art Precor treadmills, elliptical machines and stationary bikes with private entertainment systems. Fisherman’s Village is a charming old, New England-style cobblestone waterfront with fun shopping. On weekends you may catch a free concert, and there is always the chance you will get to see one of the local sea lions in action. Venice Beach, famous for its oceanfront walk, plays home to funky shops and fun, eclectic street entertainment. Families rollerblade, bicycle or stroll along this stretch of sand, and famed Muscle Beach is only steps away. Ballona Wetlands offers the largest fresh and saltwater marsh preserve in Los Angeles. The Wetlands are a great place to view birds and plants native to the area, as well as seasonal fauna passing through. Friends of Ballona Wetlands invite families to experience the Wetlands, offering groups of eight or more to enjoy a private tour (310/306-5994).